We’re not supposed to drink the water in certain countries, we already know that, but did you know you can encounter unpotable water in your own backyard? Backflow is a term used in the plumbing field to describe what happens when the flow of water reverses in the pipes. This can lead to untreated and undrinkable water to be brought into your home from public water systems. It can also cause the entire pipe structure to become contaminated as well. As a result, many homeowners are faced with the reality of consuming water that may make them very ill. Here is what you need to know about backflow testing. Yes, water companies are required to test their water and notify consumers of contamination as soon as possible, but it isn’t always caught as quickly as necessary. When a public water supply is contaminated, due to backflow, this becomes an incredibly widespread issue, and it’s not something that water company is always able to recognize right away. 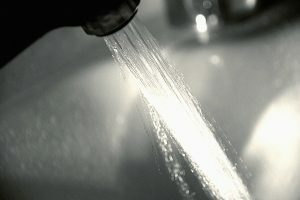 You would assume that when you pay a water bill, the company then ensures a safe and clean flow of water into your home. This isn’t the case, however. If you think backflow may be an issue in your area, or in your home, you’ll need to call a plumber. The plumber will be able to determine if there are cross connections in your area, as they are typically the cause of backflow. These cross connections will need to be examined and fixed, and only a plumber can do that. A plumber can install a backflow prevention device that will block the flow of unusable water back into the public water system. It is installed at the entrance of your water lines, and can provide a reasonable amount of protection for your water supply. If you have questions or concerns about backflow, we are certified to regulate backflow issues. Learn more on our backflow testing page or contact us to schedule an appointment.